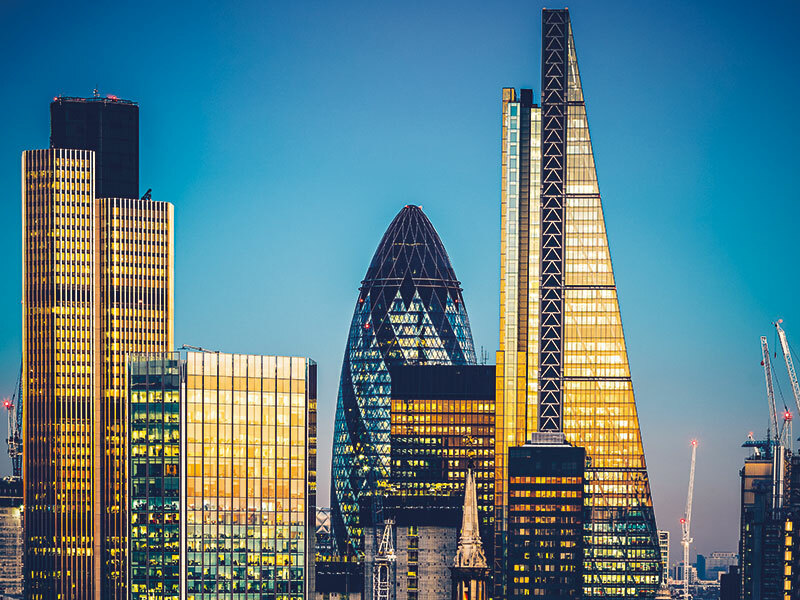 As the UK’s Brexit negotiations stumble on, other European countries are using the period of uncertainty about the future regulation of the continent’s financial markets to tempt firms and activities away from London to rival centres. The French have been particularly active in support of Paris, but Frankfurt, despite lukewarm support from the government in Berlin, has not been far behind. And other cities like Luxembourg, Dublin and Amsterdam have laid out their own welcome mats. Bankers have not been so popular for a decade or more. The 2008 global financial crisis has prompted some rethinking about the pros and cons of being a financial centre. Hosting an economic hub is, of course, unambiguously good for Porsche dealerships, upmarket champagne bars and table-dancing clubs. But some argue that the drawbacks in terms of the effect on the rest of the economy are too serious to ignore. Andy Haldane, the Bank of England’s chief economist, has described the banking industry as a “pollutant”, at least in part. He said: “Systemic risk is a noxious by-product… [that] risks endangering innocent bystanders within the wider economy.” Some countries, the UK among them, continue to bear “the social costs to the general public from banking crises”. But it may be argued that regulatory reform, particularly the far higher capital requirements established by the Basel Committee on Banking Supervision for systemically significant banks, has significantly reduced the risk of incurring those costs. Research has shown that so-called Tier 1 capital ratios above 13 percent cut the risk of banking collapses sharply. The risk can never be reduced to zero, but the stress testing carried out by regulators shows that most major banks can now survive very extreme economic shocks. The Bank of England models a 4.7 percent contraction in GDP and a 33 percent fall in house prices, and so far the banks have survived. Other studies, however, point to adverse side effects arising from hosting a super-sized financial sector. For example, Stephen Cecchetti and Enisse Kharroubi of the Bank for International Settlements (BIS), have argued that an excessively large financial sector damages productivity and growth. When I was director of the London School of Economics, I was struck by the fact that in a school offering a wide range of social sciences and humanities courses, not simply finance and economics, in some years more than 30 percent of the graduating class took financial jobs. Many engineering graduates from Imperial College London were seduced by investment banks, which paid them extravagantly for inventing elaborate financial structures rather than bridges or machine tools. A second negative side effect, according to Cecchetti and Kharroubi, stems from the preference of bank finance for investment in real estate, where collateral is available, rather than less easily assessed investments in technology-based businesses. Their calculations suggest that a high degree of financialisation of the economy – certainly well below the level in the UK in recent years – may impede growth. Other studies suggest that the negative effects begin to be felt when credit to the private sector exceeds 80 to 100 percent of GDP. During the financial crisis, the ratio in the UK was around 180 percent, and it had been well over 100 percent for some time. Furthermore, some argue that a large finance sector may bolster the exchange rate, making other exports less competitive. More contentious research recently published by the University of Sheffield goes much further and attempts to estimate the economic cost incurred as a result of the UK’s specialisation in high finance. The authors arrived at a figure of £4.5trn (€5.15trn), or two years of GDP at 2018 levels, for the period from 1995 to 2015. If that analysis is correct, we should be packing bankers off to Paris in specially chartered Eurostar trains, sealed to prevent them from attempting to jump off before they reach the Channel Tunnel. Moving Lombard Street to the Boulevard Haussmann could be more effective than any of the other attempts we English have made to harm our nearest neighbours over the centuries. But how robust are these calculations? There is a ring of plausibility to the argument that with finance, as with luxury goods, you can have too much of a good thing. The supposed impact on growth, however, assumes that some of the skilled people shed by the financial sector will move elsewhere in the economy, rather than following the finance jobs wherever they go. There is no guarantee that this will happen, or that employment lost through finance sector moves will be compensated by growth elsewhere. UK manufacturing has underperformed for reasons other than finance, including poor management and bad labour relations. It looks, however, as though the UK is about to engage in a real-world experiment that tests these theories. Unless there is a surprising breakthrough in the Brexit negotiations, which produces a future free-trade regime for both services and goods, a substantial relocation of financial activity to the continent (and to Ireland) will occur over time. If and when that happens, we must hope that the BIS economists, derided in London while it was riding high, are not entirely wrong.